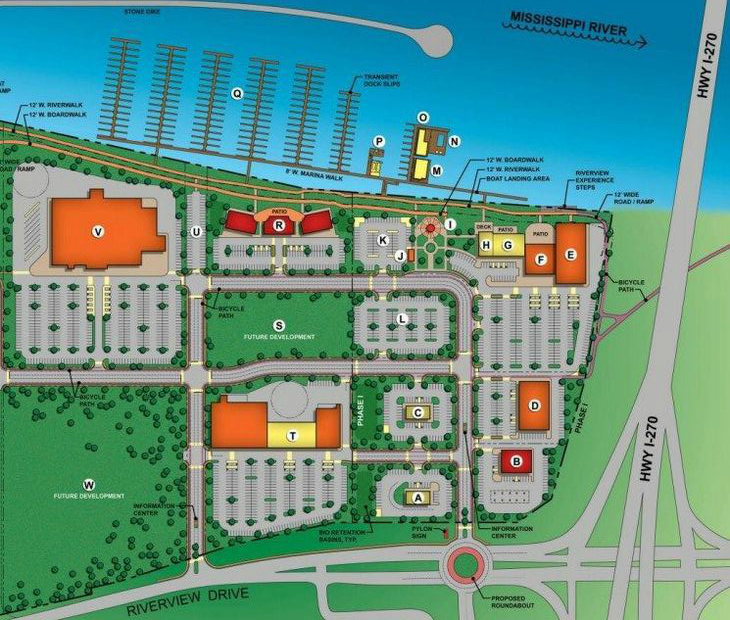 From the St. Louis Post-Dispatch: Developer Adam Hartig envisions an 84-acre mixed-used development at the far northern tip of St. Louis City. The $250M plan includes a hotel, retail, restaurants, condos, and marina. 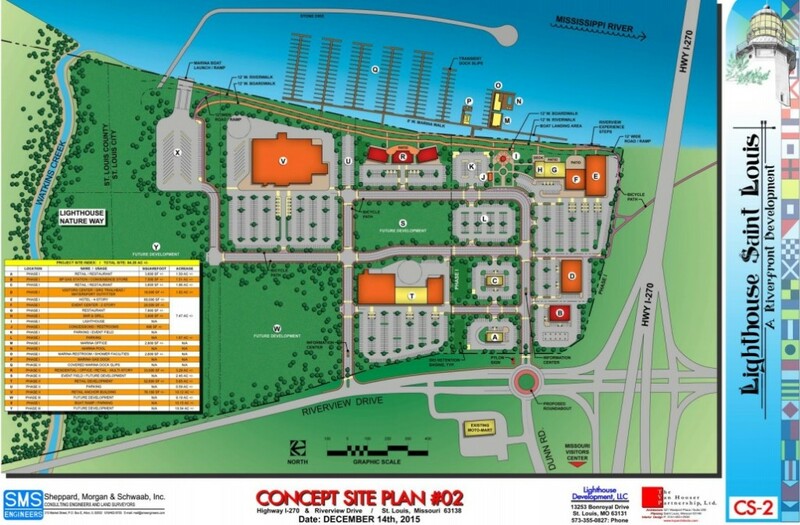 The site is north of Interstate 270 next to the Mississippi River. According to the Post-Dispatch, the site was under water in 1993, and again several years later. The North Shore Golf Course closed as a result. 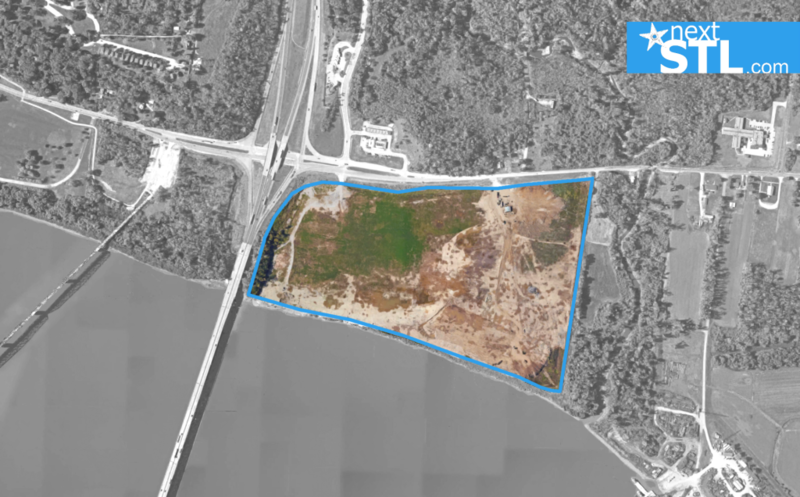 A $55M first phase would see a gas station, convenience store, boat ramp, visitors’ center, event center, and other amenities, including a connection to the Riverfront Trail and Chain of Rocks Bridge. The plan is for groundbreaking to take place summer 2016. The developer told the Post-Dispatch that the project would seek no public incentives or tax breaks. 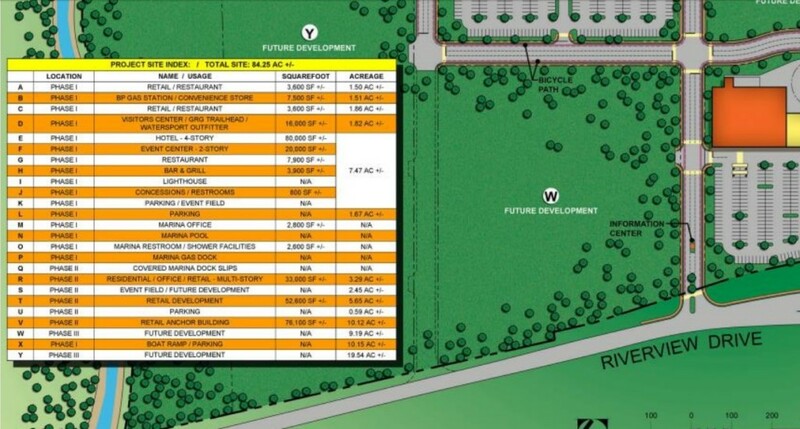 This would appear to mean that no TIF, TOD, or tax abatement will be sought. With flooding in St. Louis this week bringing area rivers to heights not seen since 1993, there’s no word whether the site is currently under water. Over the past few years, the site was raised 10 feet with infill dirt. This brought the site above the 100-year flood plain.